Parts of Kansas City saw more than five inches of snow Sunday. Now crews are working around the clock to clear the roads. KANSAS CITY, Mo. 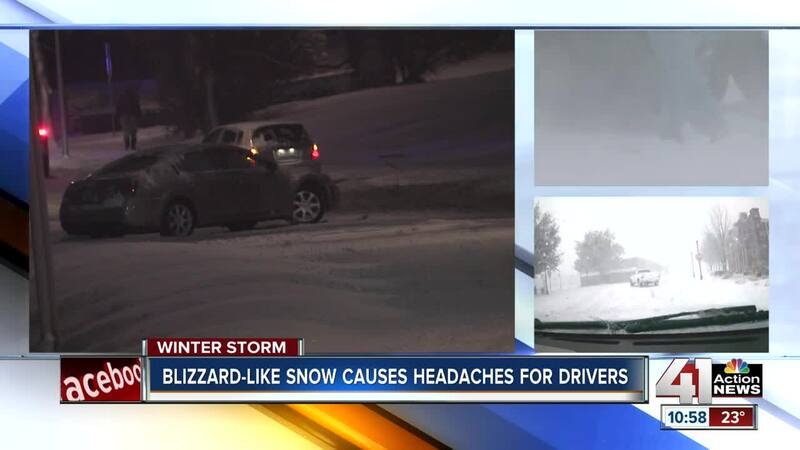 — Roads on both sides of the state line continued to worsen Sunday afternoon as snow fell over the Kansas City area, mixing with high-speed winds to create blizzard-like conditions. Air travel also proved difficult. 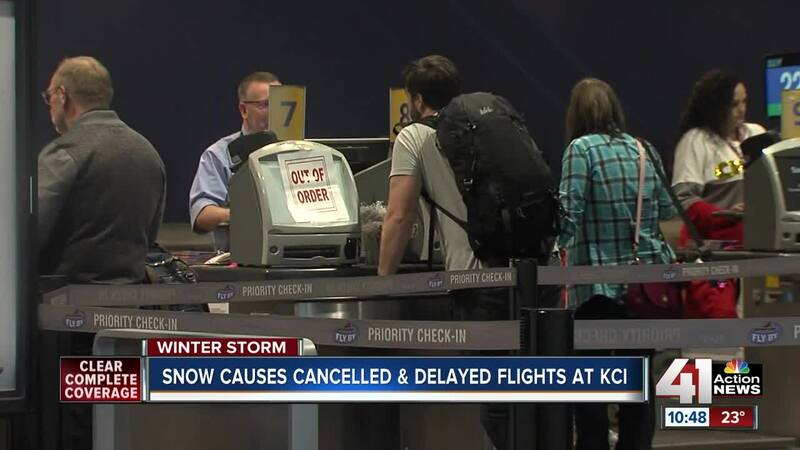 Officials at the Kansas City International Airport said the airfield closed to arrivals just before 3 p.m. due to visibility of less than a quarter of a mile. On the Missouri side, I-29 closed from the Iowa border to Mound City due to whiteout conditions. On the Kansas side, I-70 closed from WaKeeney to west of Topeka city limits, and Gov. Jeff Colyer issued a State of Disaster Emergency declaration . Crews are treating roads across Kansas and Missouri. 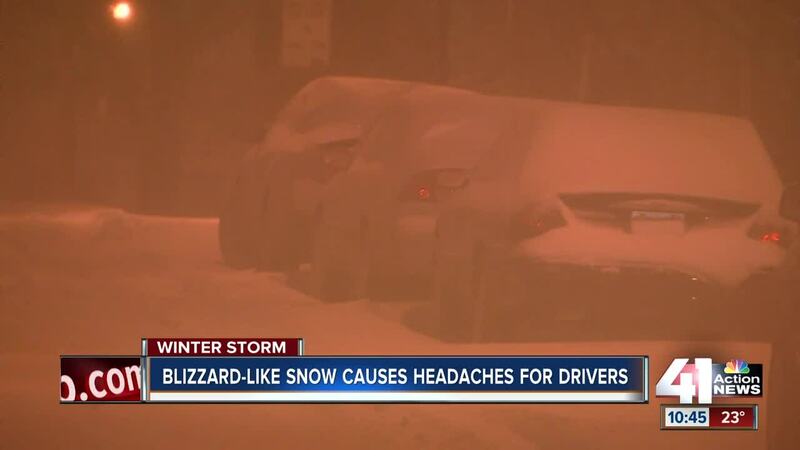 Transportation officials urged people to stay in so plows have plenty of room to work. In Kansas City, crews pre-treated streets and planned to plow when snow begins to accumulate. Road conditions are deteriorating FAST in the #KC metro! Crashes are happening, & Trooper’s are working to get them cleared from the roadway. #StayHome if you can! Do not put yourself & others in harms way! It’s not worth the risk!